We know that parents would rather prevent dental pains and problems for their children than treat them after the fact. Dr. Aaron Christensen and his team focus on preventive care for their pediatric patients. Preventing disease and decay will protect your child from discomfort, pain, and invasive procedures. Preventive care can help keep your dental costs lower and reduce your child’s time in the dental chair. Most importantly, our preventive procedures will keep your child safe, comfortable, and happy with their smile! Fluoride Applications | Fluoride protects healthy enamel. Topical treatments are painless and quick, and they help protect your child from tooth sensitivity and dental decay. Dental Sealants | With deep grooves, it’s tough to thoroughly clean children’s molars. Bacteria can settle into the grooves of the back teeth and cause decay. Dental sealants are thin plastic coatings that create a protective barrier against these bacterias to help keep your child’s smile clean! Education | The more you know about your child’s unique needs, the easier it will be to keep him or her healthy! 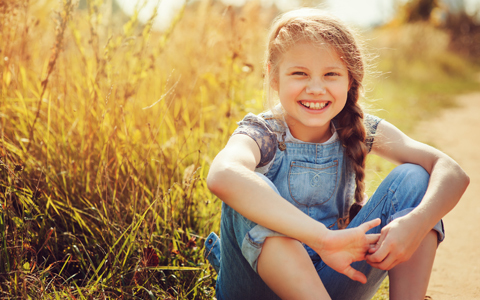 We are happy to provide counseling on proper nutrition, brushing, flossing, and oral hygiene techniques based on your child’s individual needs and preferences. X-Rays | Radiographs or “x-rays” help the dentist examine your child’s dental health. Although there are exceptions, before age 3 most patients often cannot hold an x-ray sensor still in their mouth. When your child is able to hold the sensor in their teeth, we can begin to use x-rays to see hidden cavities and other problems. We take standard precautions and use the latest dental technology to ensure your child’s safety throughout these x-rays. Fillings | If bacteria makes its way through the enamel of your child’s tooth, we can often fill the small cavity with a dental filling. These fillings are either silver or white (tooth colored) depending on size or location and parental preference. Remember that prevention is easier than treatment! To learn more about preventive dentistry, schedule an appointment at Christensen Pediatric Dental today.